Barbizon is the name of a village around Fontainebleau in Paris suburb in France. In the mid-1840s, some landscape painters came to this village and started to paint and live. Theodore Rousseau was the leader of this group and the other artists like Charles-Francois Daubigny, Constant Troyon, Jules Dupre, Narcisse Virgilio Diaz, and Charles Jacque were its members. Jean-Baptiste-Camille Corot had a close relationship with the members, but the poetic quality of his works made his works distinguished from the group. Jean-Francois Millet was also one of the members, but his main concern (rural work and life) made his works distinguished from the others. 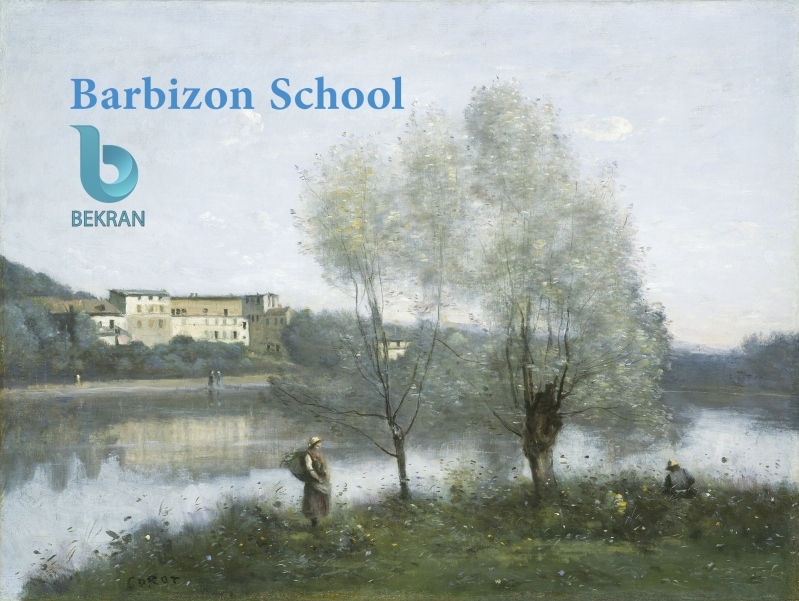 This artists group established a school in painting named “Barbizon School” and they painted Barbizon’s landscapes. Although all of them were landscape painter, everyone had his own method in painting. These artists countered with Classic and Academic paintings, which placed landscape in background; and they followed John Constable’s works and Dutch landscape paintings of 17th century. The main subject of Barbizon’s works was landscape and they were leading in this field. Barbizon’s painters interested in outdoor painting; but unlike Impressionists, who created their works in nature, they just created initial designs in nature and then completed the paintings in their workshops. Their desire to rural landscapes and nature was because of their reluctance to urban life. Generally, this school started in 1830s and continued until 1870s. And this new school was a preliminary step for emerging the Realism movement in painting.